It's been a long time coming, but finally, finally, fitness and activewear is getting chic. Gone are the days when you have to lug about three changes of clothes - for the office, for your workout and for your post-workout-cocktail with your girlfriends (I can't be the only one that does that, right?). Peony is one of the new "athleisure" brands on the scene, and I'm loving their versatile take on fitness+fashion. With feminine florals, bold and edgy leggings, lace sweatshirts and asymmetrical tees, Peony is really all about dressing for your entire day. 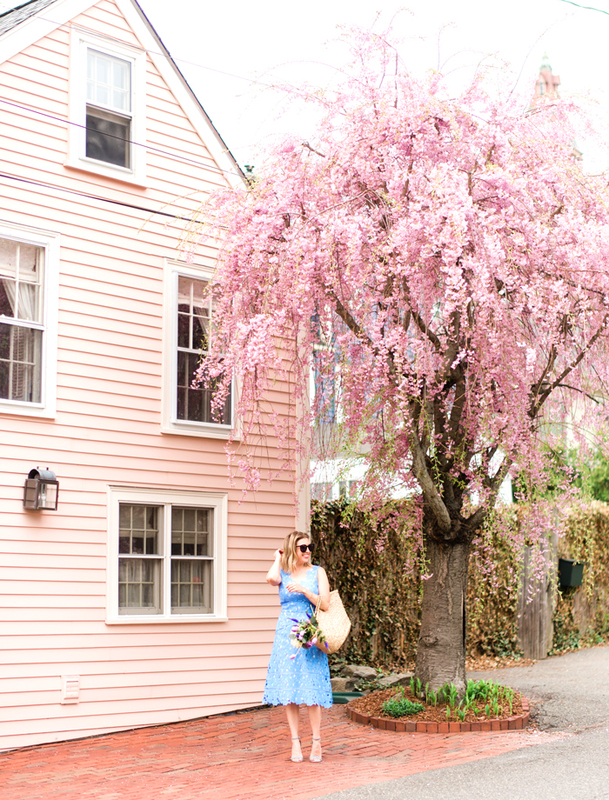 I wore these floral leggings and draped tank with a blazer and flats for the office, then wore the leggings and a basic tee to Bar Method (true, not the sweatiest of workouts!). Finally, I threw back on the tank and some heels for a casual evening. Dressing for our busy lives, made a little easier? You know I can get behind that. Looking to add some versatile pieces to your wardrobe? Check out Peony and use the code BOSFASHIONISTA25 for $25 off an order of $150 or more! This post is presented by Peony. Love the fit and look of your tank. Great outfit. 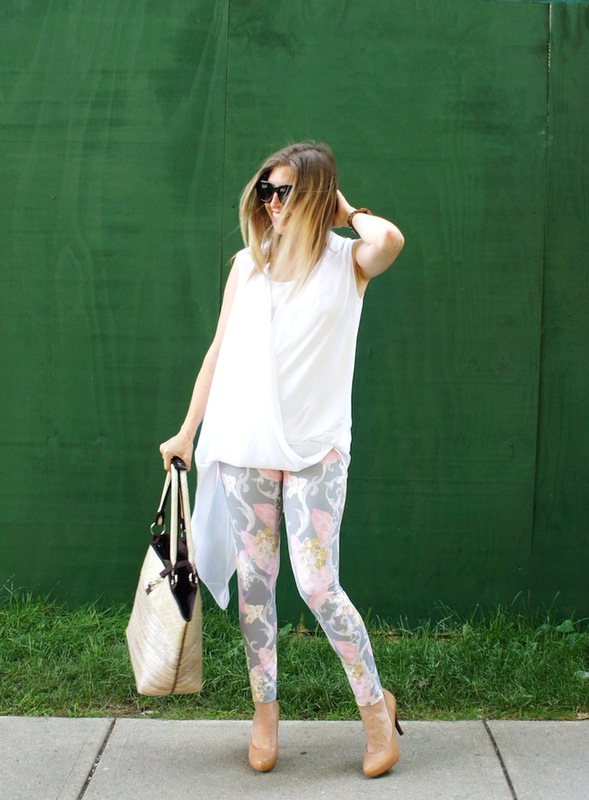 i'm wearing the same leggings in my post today! :) i love the print of this pair best. love how you styled them!